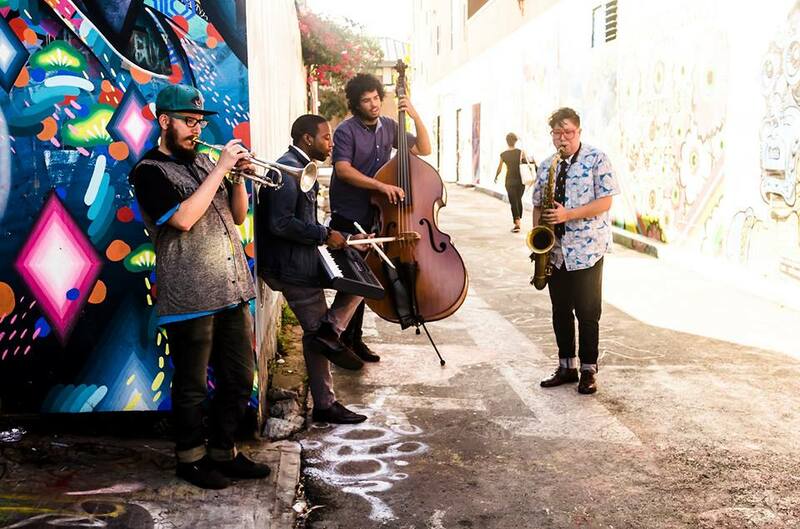 Sueños is a band pushing the evolution of jazz into a modern context. Rhythms borrowed from hip-hop and rock blend seamlessly with modal and gospel harmony, with bebop-tinged horns flowing over the top to paint a unique musical portrait. They split their time between SF and NYC and have played at jazz clubs and festivals nationwide, including the PDX Jazz Festival in Portland, Herb Alpert’s Vibrato Jazz Club in LA, Paris Bistro in Philly, Rendon Hall in Berkeley, and the Blue Note in Napa. Sueños has also crossed over into the world of hip-hop, having collaborated with major artists such as Chance the Rapper, Saba, Mick Jenkens, Mr. Carmack, and more. Some of their members filmed a Tiny Desk concert with Saba at NPR headquarters in Washington D.C. this summer. Their music is perfect who anyone who enjoys jazz as well as other styles like hip-hop, indie rock, neo-soul, or electronic music.